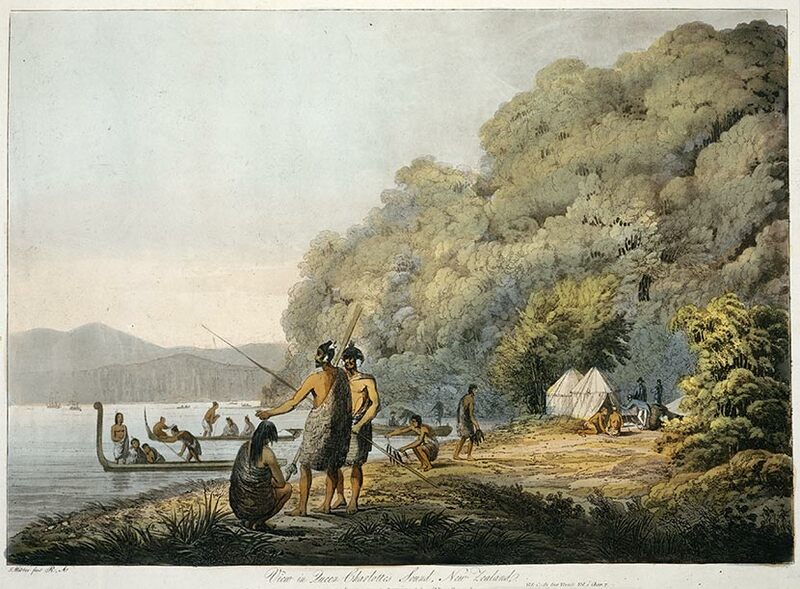 This painting by John Webber depicts Māori fishing at Ship Cove, Queen Charlotte Sound. Webber was the official artist on James Cook’s third Pacific voyage of exploration. Cook’s ship the Resolution spent two weeks in Ship Cove in February 1777. Cook had also visited the cove on his previous voyages.